This week’s testimony in the murder trial for the former New England Patriots player has included a lot of talk about shoes. This week’s testimony in the Aaron Hernandez trial has revolved around a pair of Air Jordan Retro 11s he was wearing the night Odin Lloyd was killed. 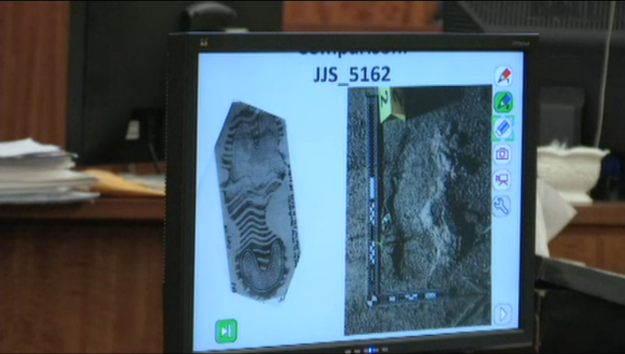 On Wednesday, jurors were shown photos of footprints found at the industrial park where Lloyd’s body was found. 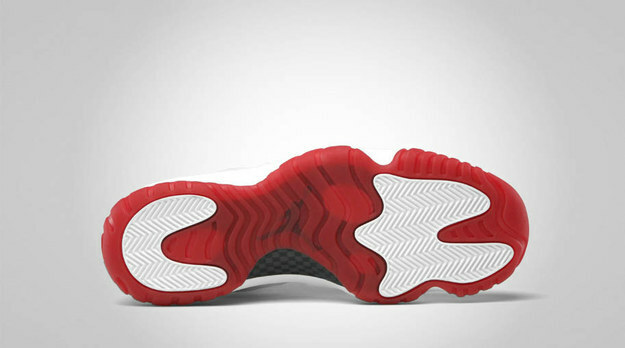 A photo of size 13 Air Jordan Retro 11 Lows — the style of shoe Hernandez was seen wearing the night Lloyd was killed — was compared to a photo of a footprint found at the scene. Steven Bennett, who works for Massachusetts State Police’s crime scene services department, testified that he had matched the footprint to the standard pattern of the soles of a pair of size 13 Air Jordan Retro 11 Lows. He said he obtained a new pair of the shoes and made a transparency of the soles, then compared it to a foam cast he’d made of the shoe print at the scene. Much of the afternoon testimony focused on debating the consistency and likelihood of counterfeit use of the distinct herringbone pattern found on both the Air Jordans and in the shoe print found at the scene. The day before, longtime Nike employee Herbert Hedges identified Hernandez’s shoes as the distinct Air Jordan Retro 11 Lows based on photos taken from surveillance video at the former New England Patriots player’s home. The specific pair of size 13 Air Jordans Hernandez was seen wearing in the surveillance footage was not recovered by investigators during a search of his home that took place 11 months after Lloyd was killed. 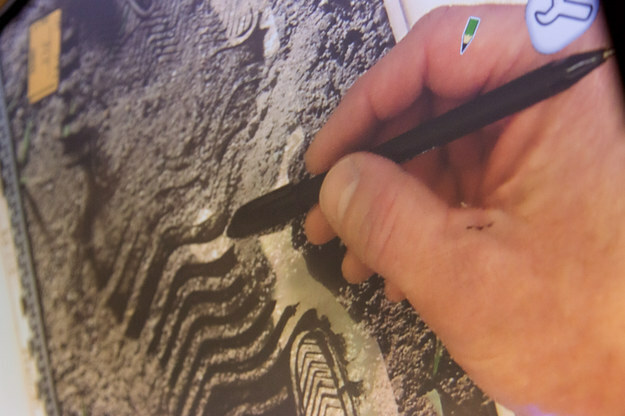 Though the crime scene responder did match the shoe print to the style of shoe Hernandez was seen wearing, the evidence is still circumstantial. Prosecutors have not recovered multiple key pieces of potential evidence, and they have yet to establish motive.